The kitchen is the centre of the home for most households. It holds more cards in its favour than any other room, including the lounge. It’s the place where your closest friends gather to chat with you while you prepare snacks for party guests, and where each day’s meals are made (and sometimes consumed). For those with families, memories are made baking cakes with youngsters and generally creating an amusing mess in the kitchen. 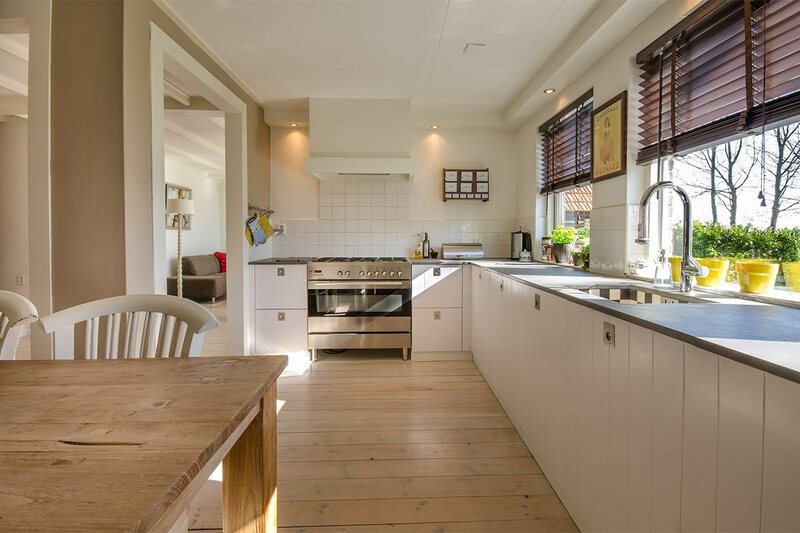 Whether you are selling your home or planning on staying there for a few years, giving your kitchen some love can really help to boost the overall appearance and feel of your home. Look at these kitchen renovation tips and see if any of these work for you. Not everyone needs to follow this step, but some kitchens are so outdated and derelict that they just need to be removed and replaced. Getting a new kitchen installed doesn’t have to be expensive. There are some fantastic models available at incredibly prices, especially if you don’t need to replace the appliances. It also gives you the chance to explore themes and inspirations that are close to you or that you like. It’s definitely something to strongly consider. As previously mentioned, not all kitchens need to be torn out and replaced. Sometimes a new coat of paint or a complete recolour can do wonders for your kitchen. Have some drab wooden cupboards? Grab a brush and paint them white. If the cupboards are structurally sound, there is nothing wrong with a coat of paint – and you will be amazed by the results. This is especially key if you have a very small kitchen. Cosy is the word that will be used to describe it to potential buyers, so make sure that it has everything they would need within it. A stove top that doubles up as a counter is a very attractive option, as is plenty of storage within cupboards, both close to the ground and overhead. Make the most of the space you have to work with to create something unique and interesting. A kitchen with plenty of storage and an interesting design will help people to overlook the size. New flooring can also be nice, both for you and prospective buyers. Stone flooring works best in a kitchen as it provides a homey aesthetic that will attract people. Try to avoid flooring like linoleum and tiles that look too similar to ones you would use in a bathroom. Good stone flooring doesn’t necessarily cost a lot either, so it makes the investment that little more worthwhile. Garbage disposal units are becoming more and more popular in the UK, and they can really help to boost the overall value of a home. They work to shred food waste, collecting it in the bottom of the unit. This can then be used for compost or disposed of normally but without taking up as much room. They don’t cost a great deal to install, and they do help to make life easier, so you might want to look into getting one installed. Hopefully, this article was able to give you a few ideas if you are looking to give your kitchen a little extra love. It may seem like a hassle and hard work to start with but, by the end of it, you will be more than happy that you did it. Take a look and try out some of these nifty tips in your home.